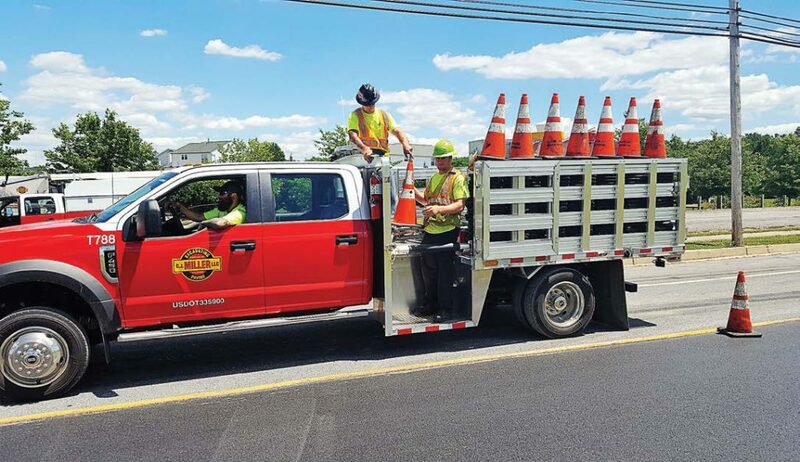 An iconic American-born company has been making a lot of new moves in the truck body business these days, and municipal fleet managers are really starting to take notice. M.H. 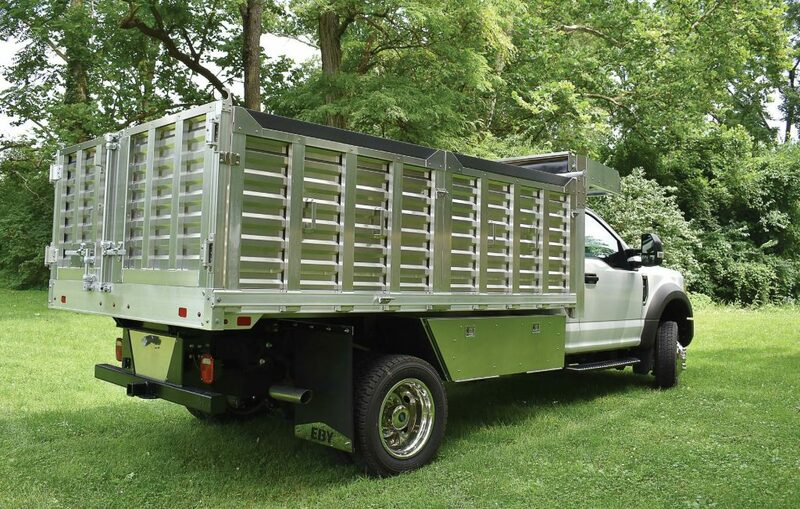 EBY, a third-generation, family-owned builder of aluminum truck bodies and trailers in Lancaster County, Pa., has been known for high-quality and high-durability products for the commercial and agricultural markets since 1938. So what’s new at EBY? Additional major investments in design and manufacturing technology have accelerated EBY’s emphasis on offering customized truck bodies without the long lead time typically associated with a custom set of specs. EBY builds all-aluminum flatbeds, dump bodies, stake bodies, service bodies and van bodies, all designed for specific work applications. Aluminum is terrifically strong and much lighter than steel, so aluminum truck bodies often allow a fleet to select a lighter gross vehicle weight and less expensive chassis than they would if they used a heavier steel body. Aluminum bodies are also less costly to maintain since they never need to be sandblasted and painted. The corrosion that attacks and eats steel bodies in many areas of the country doesn’t affect aluminum bodies, meaning bodies can be moved from an old chassis to a new one for additional savings. That flexibility in serving the municipal customer is fueled by two key EBY assets. Several years back, EBY invested in state of the art computer-aided design tools, which allow fleet managers to approve highly detailed drawings that go straight to the shop floor. Technicians on the floor then build the parts using the latest fiber lasers, CNC 5-Axis milling machines and robotic welding. Veteran assemblers pull it all together, and the result is a productive, long-lasting truck body that saves fleet managers money. Interestingly, this focus on technology has resulted in a larger workforce, with additional training and development options open to workers on the line. EBY is now in the process of opening up a much larger plant in Ephrata, Pa., about 10 miles from its main plant in Blue Ball, Pa., 50 miles west of Philadelphia, and will offer key positions at the new plant to the technicians who have been instrumental in building the truck body product. 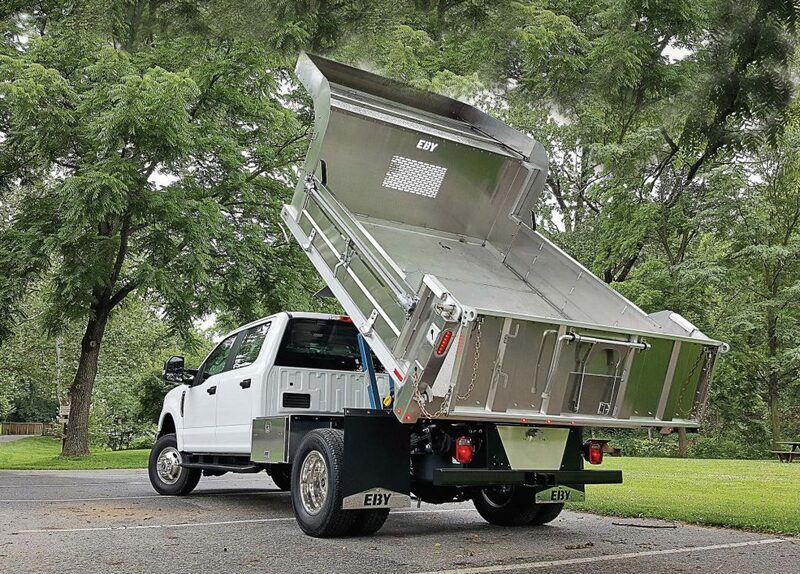 EBY builds all of its truck bodies in Pennsylvania and ships them to dealers and distributors all over the nation for installation. EBY facilities in West Jefferson, Ohio; Seymour, Ind. ; Logansport, Ind. ; Story City, Iowa; and Worthing, S.D., bolster its emphasis on high customer service. Centralized design allows for consistent design work, and a terrific distribution network gives this company a national reach. The company is an American success story. In 1938, Menno Eby Sr. started with a single service bay and a dream to build wood and steel cattle bodies for the Pennsylvania agricultural community. In the 1980s, his son made the decision to build all-aluminum truck bodies and trailers. Third generation leaders President Travis Eby and his brother Nick, EBY’s vice president of engineering, are continuing to build the company 80 years later. The company now has seven facilities and 375 employees with solid plans to grow. Attention to detail and high customer service have been EBY’s key to growth during the last 80 years. Investing in technology and people is keeping them on that successful path. For information, visit www.mheby.com or call (800) 292-4752.